The Holy Spirit has revealed something important to me about the plight of unborn children, which has put my soul in distress. So, I am writing this special commentary so that this situation can be corrected by myself and all concerned people living on earth. I invoke the intercessory help of Our Lady of Perpetual Help as I write this commentary for the Greater Glory of God. As followers of the blog, MaryRefugeOfHolyLove, well-know, I am a firm believer in the revealed Book of Truth given by Our Lord, Jesus Christ, to End-Time Prophet and 7th Messenger, Maria Divine Mercy. I promote the heaven-sent messages and have several dedicated pages for people to refer to on the blog after The Great Warning (Illumination of Conscience) takes place. However, although I have read the entire Book of Truth over three times, I do not understand every message that is given by Our Lord and Our Lady. Sometimes, I will have lingering questions about the revealed truths given, but I always leave it up to God to provide me further understanding in His Divine Timing and not mine. And I have learned through prayer, that oftentimes, God will take years before answering a question I may have—but, Our Lord always answers the question often when I least expect it. God has finally answered a certain question that I have had for 5 years about a heavenly message given in the Book of Truth. And now, because it is definitively answered, I have to share what was revealed to me, so this situation can be corrected—as I think the knowledge of this divine truth would be distressing for anyone who has a loving and compassionate heart. Now, when this heavenly message was first given, I wondered greatly about the numbers of souls involved. To know that there are billions of damned souls in hell is very distressing—to know that since the dawn of Creation, most of mankind have ended up in hell as their eternal state is a very shocking truth to accept—that despite the Ultimate Sacrifice of Our Lord on The Cross, most of mankind that has died is in hell is upsetting. However, I wondered greatly about the numbers of world population. According to population experts, the first billion people reached living on the earth was passed in 1804. Then, the second billion living was passed in 1927 until seven billion people living was passed in 2011. Now, there are approximately 7.5 billion people currently living on the face of the earth as of May 2017. There are more people living today than have ever existed in the history of mankind (although we do not know the exact world population before the Great Flood of Noah’s era). Well, the reason these numbers given to us by Our Lord made me wonder, is because I know from statistical research that since 1980, there have been more than a billion abortions performed in the world. Yes, there are over a billion people missing on earth. But, in 2007, the Vatican released a committee paper under the pontificate of Pope Benedict XVI that I thought concluded that there was no such intermediary state as “Limbo” for the unbaptized unborn babies lost through abortion. The experts of the Catholic Church wrote that these unborn babies were in Heaven and I reasoned that this must be the case, because they are all “baptized by blood”—little unborn martyrs—victims of a heartless world. And so, I wondered about the numbers of those who have died. If there are over a billion unborn children in Heaven, then according to the heavenly message, there must be at least 33 billion damned souls in hell. But, the numbers did not make sense to me, based on what I knew about the growth of world populations during the history of mankind. So, I rationalized to myself, well, maybe the world population was greater prior to the Great Flood…? 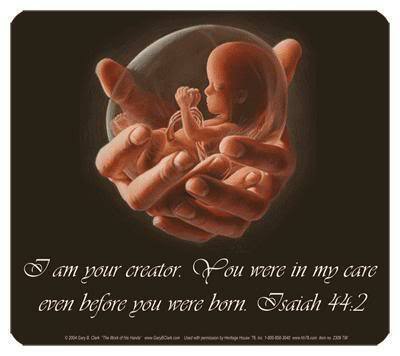 I did not know… But, knowing that Heaven is being mostly populated by aborted children was also disturbing to me, but I did not doubt what Jesus said in the Book of Truth. I accepted His words on faith. Then, lately, I have been studying various heavenly messages, as I am working on two other special commentaries in prayer. First, I gained this insight from the Book of Truth. 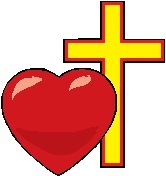 In “Crusade Prayer (123) Gift of Free Will To God” given to Maria Divine Mercy, Our Lord, Jesus Christ, revealed that free-will is given to each of us as a gift upon birth. So, I pondered this fact in my mind that unborn children do not have free-will. 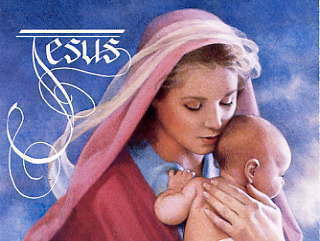 Then, I was studying the older heavenly messages given through Holy Family Refuge (https://www.childrenoftherenewal.com/holyfamilyrefuge), and on April 25, 2014, Our Lord shared that the world is so profoundly evil, that He is multiplying the spiritual effects of those who are praying by one hundred-fold a prayer to cope with and counterbalance the spiritual needs of today. And when I read that statement by Jesus, I thought to myself, wow, the world is in desperate need of continual heartfelt prayer today. Then, in my studies, I came across the heavenly message given by God to Father on August 28, 2014 at Holy Family Refuge. Now, my soul is in serious distress. Everyone needs to read this particular heavenly message from God the Father, so I am including it immediately below this commentary. But, basically, I have learned that there IS INDEED a place in the Heavenly Kingdom called, “Limbo,” in which all the unbaptized unborn children reside. I was mistaken in my thoughts about the numbers of souls in Heaven and hell—what Jesus said about there being 33 souls in hell for every one soul in Heaven is true. All of the unborn aborted children, over one billion of them, are stuck in Limbo—denied the beatific vision with God—because each one of them needs to be baptized by someone living on earth, so they can reach the “fullness” of Heaven. This is because each of these unborn children did not have the gift of free-will when they died, and so, they need someone living on earth to freely choose for them—baptizing each of them to be a child of God. Also, these children—the Holy Innocents—need to receive the Sacrament of Confirmation by a bishop, so they have the special grace to be more effective prayer intercessors in Heaven. Knowing all of this now has been stressing me out. I have family members who were aborted and simply knowing that for all these years, they were denied Heaven and stuck in Limbo due to lack of a Christian baptism, is upsetting. And then, knowing that there are over a billion children in Limbo similarly-situated is dismaying to me. This situation of Limbo is worse than being in Purgatory, because at least, the poor souls make it to Heaven and the poor souls are mentioned in every Holy Mass—but what about the unborn babies stuck in Limbo? Who is praying and baptizing them all to go home to Heaven? We all need to start baptizing these children everyday and asking that our spiritual baptisms be multiplied by a hundred-fold by Our Lord. I cannot do this alone. This is a serious prayer need for the entire Body of Christ living on earth. We need to close Limbo before the Second Coming of Our Lord takes place. This is really quite serious. This is your Sweet Jesus. I love you and all the children of the earth dearly. Please continue to warn all My children over and over. The doomsday warning is here and near. Many people will die. I your Jesus cannot warn you anymore in a small way. I told you the other day the warnings are over but the graces and blessings have increased a hundred-fold to any of My children on earth that ask. There is no time left to save souls without My special divine mercy. I am your Jesus of love and mercy. I am here for each of you with all the grace and mercy that you want and need to save your soul just for the asking with an open heart and asking your God to forgive you for all your sins with your heart, mind, and soul. My Catholic children have to go to one of My priests and confess to him and receive absolution and make a sincere Act of Contrition and do the penance that the priest asks. My children your God is doing everything possible to get your attention to get back in the state of grace. If you get back in the state of grace and then sin again, come back to your God as many times as necessary until you receive enough grace to stop that sin and then work on some of your lesser sins that are not so bad. Please ask, and ask, and ask for My grace and mercy. I will help you any way that I can. All of Heaven is at your side just for the asking to give you grace and love to help you become the person that you were made to be. My children it is a lot easier to live in God’s grace than in satan’s turmoil. It is just the choices you make that make the difference. Pray to My Mother and she will be your spiritual Mother and treat you like Her only child. She will love you and kiss you to pieces and give you the love your heart is longing for. 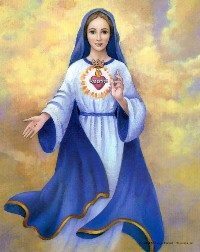 Just pray to Her and say the Rosary every day for grace and strength. You need to come to Us now. The time is about to end for millions upon millions of Our children through natural and man-made disasters. Come, please come, for My Mother and I and all of Heaven are waiting for all of you. Love, love, and more love. All of Heaven is speaking and crying for all of your souls. Thanks, Heaven. Jesus with a very heavy heart. Many people in the world find the practice of the Christian Faith difficult to embrace when it comes to prayer. So many good and well-meaning people find it hard to sit quietly in peaceful contemplation of My Great Lessons given to the world in order to make them understand what is expected of them. I do not make great demands. I do not force souls to spend hours and hours before Me and yet, I Am so happy when humble souls do this – but it is a rare thing.